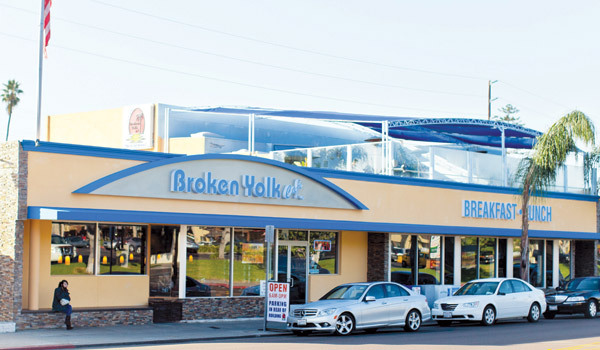 The Broken Yolk Cafe is no stranger to most San Diego residents as well as visitors. The café is a favorite Sunday brunch spot, although breakfast there feels like Sunday brunch every day with its huge menu and ample portions. Owner, John Gelastopoulos, his wife and daughters opened the café in 1971 in Pacific Beach. They built the restaurant from the ground up, winning the approval of San Diegans one breakfast at a time. 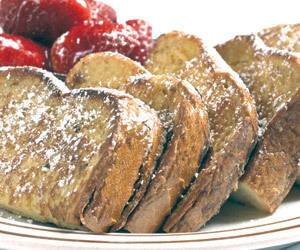 Now the café is often bustling with hungry customers craving their favorite freshly made breakfast or lunch. The Pacific Beach location has expanded over the years to include a rooftop dining area. Gelastopoulos decided to expand the restaurant by franchising new locations. First, he trademarked the logo and branch. What’s really impressive is that The Broken Yolk Cafe has been able to expand even in the midst of an economic recession. The café has opened at least one restaurant every year since 2007 when he first opened a place in Eastlake. Another in La Costa opened in 2008, followed by ones in Gaslamp in 2009, San Marcos in 2010 and then Oceanside in 2011. 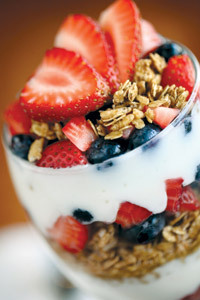 Last year was a big year, when restaurants opened in Point Loma, Carmel Mountain and Temecula. 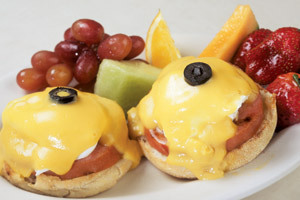 With nine locations across San Diego, it’s difficult to avoid the popular restaurant whether you’re craving morning food, such as omelets, eggs benedict or French toast or satisfying lunch items of hot or cold sandwiches or salads. With each new restaurant, Gelastopoulos helps new franchisees through every step of the opening process. From finding the right site to designing the store layout, Gelastopoulos is there up to three months after the restaurant opens to personally help the staff to ensure the success of the location. The eatery offers an extensive menu of about 30 types of omelets, 10 kinds of burgers and salads, as well as several Mexican and Spanish dishes. Besides generous portions of good food with fresh ingredients at reasonable prices, he also cites their move to what he calls a “modern breakfast house” with updated menus and decor. Gelastopoulos says he plans on expanding even more. Currently, he has franchise agreements to open five restaurants in Orange County over the next two years. His vision is to expand across California and the Southwest. Specific places in mind include Los Angeles, San Francisco and cities in Arizona. However, he has no plans to open any restaurants in San Diego — not even in La Jolla at the moment because there is no location that provides at least 4,000 square feet of space. What else is in the works for the busy franchise? Gelastopoulos said they are coming up with a light menu that will debut by summer. For example, their usual vegetarian Mom omelet will be made with egg whites instead of whole eggs. Gelastopoulos lives in La Jolla. Besides the family’s success in the restaurant business, they are active investors of real estate. He is an example of the American success story — working hard, taking risk, providing something people want and finally reaping the rewards.